Each of the Reserve Banks recruited housing and mortgage industry organizations as partners in the MCP process. The design was to have practitioners discuss the home-purchase and financing process—to break the process into steps and determine where the potential for unequal treatment or discrimination arises. From within the partnering organizations, practitioners—those making line decisions on a daily basis—were recruited to participate in task groups. These task groups were formed around particular issues and key steps in the home-buying process (such as obtaining hazard insurance) where concerns had been identified. The task groups met over a period of months to develop recommendations, which were issued in publications from each Reserve Bank. MCP reports from the individual Reserve Banks are available upon request. The MCP Resource Guide, a step-by-step guide on how to form and host a similar collaboration, is available from the Federal Reserve Bank of St. Louis at <www.stls.frb.org>. Some important results were achieved in each of the markets where MCPs were conducted. For example, in St. Louis two insurance agents opened offices in lower-income communities. A continuing education course for realtors, "Teaching Fair Housing Compliance to Housing Providers," was offered during the St. Louis Fair Housing and Neighborhood Housing Conference in 1999. Also, as a result of the St. Louis MCP, the Community Affairs Department of the Federal Reserve Bank of St. Louis produced two publications: a special credit scoring issue of Bridges, Winter 1998, the department's quarterly newsletter, and The St. Louis Area Homebuyer Counseling Providers brochure, distributed to lenders, real estate agents and nonprofit organizations. In Boston, practitioners, regulators and advocates worked on several educational and outreach efforts. In Cleveland, real estate boards, historically divided by race, now share listings and other key information on a systematic basis for the first time. In Chicago, a foreclosure intervention program, targeted to low-income communities disproportionately affected by FHA mortgage defaults, has kept well over 200 families out of foreclosure to date. In New York state, fair lending training is now required in the licensing process for appraisers. And, in San Francisco, revised fair lending "best practices" agreements were initiated between lenders and HUD. If You Are Interested In Raising Your Credits, You Won't Want To Miss This Page! Worried About Your Bad Credit? Fret Not! 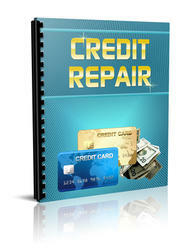 Discover Insider Secrets To Quickly Get Out Of Debt, Erase Your Bad Credit Record And Legally Raise Your Credit Score! Finally! An Info-Packed Guide To Help You Understand The Nuts-And-Bolts Of Credit Repairs And To Assist You In Increasing Your Credits In No Time! Learn Some Little-Known, But Highly Effective Tips And Tricks That Will Shoot Your Credit Score Up!